Ritz-Carlton is opening two US resorts in December. The Ritz-Carlton Highlands, Lake Tahoe, will open on 9 December in California. The £185m resort offers 170 rooms, the Manzanita restaurant and the 1,579sqm Highlands Spa, plus ski-in, ski-out access in winter. 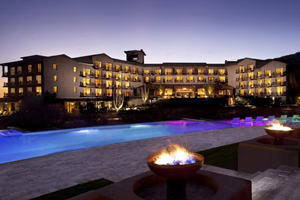 The Ritz-Carlton, Dove Mountain opens in Arizona on 18 December, located in the foothills of the Tortolita Mountains and surrounded by thousands of Saguaro cacti. It offers 250 rooms, the Jack Nicklaus Signature Golf Course, a spa and the Core Kitchen and Wine Bar. Phulay Bay, a Ritz-Carlton Reserve opens in Krabi, southern Thailand, meanwhile, on 22 December - the company's first Reserve property. It will offer 54 villas and pavilions decorated in a contemporary Thai style.